Sometimes things seem to work out almost too perfectly here. No sooner had White Chicken and Black Chicken been loaded into a dog kennel in the back of a van and driven off to their new home, that I noticed that Other White Chicken, my favorite, had laid her very first egg. 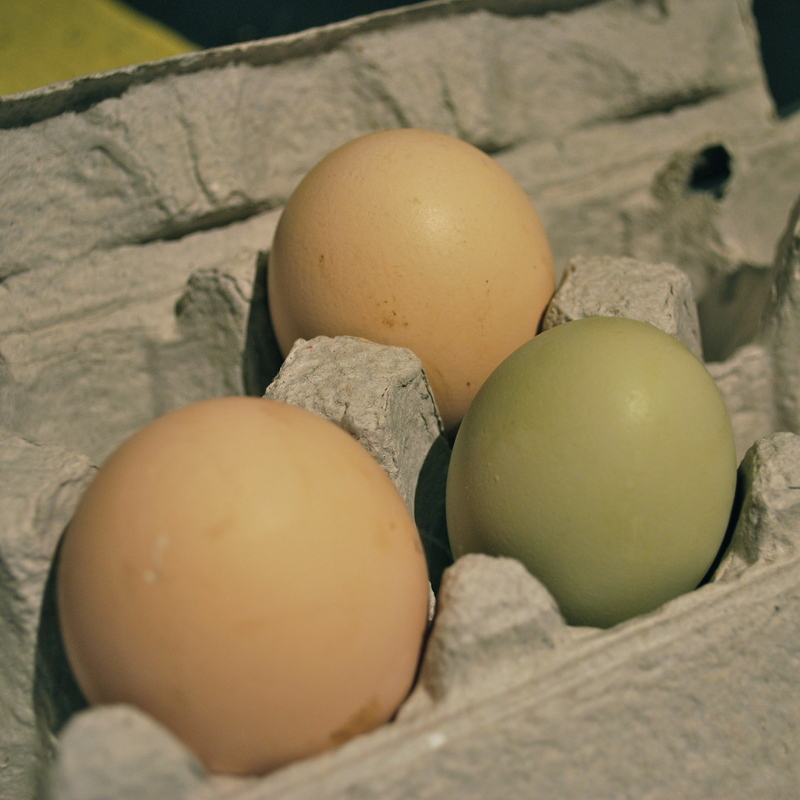 Her little blue-green egg is the same color as the one she was hatched from and is the first colored egg to be laid here, in other than shades of brown. I’m not sure what she is exactly, she looks a lot like an Ameraucana but the farmer I got the hatching eggs from said they were a mixed flock. Two layers gone and one layer gained! This entry was posted in chickens and tagged ameraucana, easter egger. Bookmark the permalink.